If you are in the middle of a Real Estate transaction YOU NEED TO READ THIS. It can save you thousands of dollars, and a lot of heartache of being scammed out of “your” money, which could also result in you losing out in the purchase of your home. What these scammers are doing is hacking into emails of any parties involved in the Real Estate transaction (The Consumer, Realtors, Title Agents, Lenders etc..). Once they have your contact information they learn of upcoming closings and get you to wire closing funds straight to their bank accounts. I had a recent closing coming up, and I did not pay close attention to the exact name of the title company that sent me the email. It was close to the name of the company I was working with, and I assumed it was them. I completely did not realize it was not legit. I was actually expecting a HUD from First International Title, so looking quickly I did not realize it said, First American Title. I tried to open the HUD a few times, but my anti-virus software prevented it (thank God). I called the title company to ask them to send it to me again as an attachment, so I could open it. The title agent said, they never sent it. I thought it was strange that there was a signature line, but no contact numbers. The Title company told me of many other incidents like this with scammers that they personally have come in contact with recently. It also happened to an agent here locally where the Buyers they were working with wired $8,000 (for their closing), and unfortunately they were not able to recover their money back. This is pretty scary, that these scam artists are very sly in their attempt to get you off guard. BEFORE YOU WIRE ANY FUNDS FOR CLOSINGS be sure to confirm information by phone with your title company. It’s a shame that there are people that learn ways to scam and cheat people. Don’t be their next target! I wasn’t happy with the former Dermatologist I went to at all. He had no personality and seemed very impersonal. I knew that I would not be going back to him ever again. After asking several people, someone recommended Dr. Amy Cauthen to me. When I arrived, I was greeted by a warm friendly staff (which by the way is as important to me as the doctor). Dr. Amy was fabulous! I felt she cared about me as a patient, and at the same time I felt like family. And she did not overcharge me like the former doctor did for the same kind of services (she charged me less than half of what he charged). Check out the article in the Ocala Magazine, October Issue (page 34) that was written about her: http://bluetoad.com/publication/?i=228061. I highly recommend Dr. Cauthen. She is awesome! I worked as a dental assistant for 23 years (for the same dentist). He was a great boss, and believe it or not, I have crowns and fillings that are still in perfect condition that he did back in 1979-1980. Now that is amazing! After relocating to Ocala and going to a couple dentists that treated me like a number, and not a person, I finally found a good one. He was a southern gentleman; however that ended too soon when he relocated out of the area. So, back to my search for a warm and caring dentist. My pause between dentists lasted longer than it should have. I think I waited a 3 years. I know that is terrible! Then, I remembered that a neighbor recommended a dentist to me a few years back, and I called the office and made an appointment. Dr. Pederson is amazing! I had to have a tooth surgically removed, and it was a tough one to come out. He expected me to have a lot of pain afterward. I was also expecting the pain too, however, I had NO PAIN! I did not feel anything afterward. That evening, he gave me a call to check to see how I was feeling. I cannot say enough good things about him. Recently I brought my step-dad to him, and we have been ecstatic with the results of everything that has been done for him as well. * Please note- just because I did not have pain, does not mean that it could not happen as a result of dental treatment… just saying! Another great find! I loved the GYN doctor I had, but the problem was that he was also an Obstetrician (a baby doctor). Each time I went for a checkup I sat in a room full of pregnant ladies. That wasn’t that bad, but what was bad was that the waiting times were awful. After waiting sometimes up to an hour, then you would be called back and I would sit another 20-30 minutes. Two different times after waiting all that time, I was told that the doctor had to go to the hospital to deliver a baby. As much as I liked the doctor, I had to find a doctor that was not an Obstetrician. This time I used the social media network to ask local ladies for a recommendation. Dr. Murphy was perfect! He was exactly what I was looking for. He has a great staff and he’s a warm and caring doctor. I’ve been going to Melissa Lozano for several years now. At first, I saw the doctor, which was very nice. The next visit the receptionist asked if I would like to be seen by the nurse practitioner, since the doctor was not available. That was the last time I actually seen the doctor. Melissa is so knowledgeable and is very thorough. She takes her time to explain everything to you, so you are not wondering when you leave what she said. However, just in case you do forget, everything that was discussed is printed out (when you check out), so you don’t forget what she said. Melissa comes highly recommended. 30th ANNUAL LIGHT UP OCALA! Saturday, November 23, 2013 from 4 – 9 p.m. Approximately 400,000 lights hanging from the trees and around the Downtown Square is an absolute must for anyone to see. The lighting ceremony takes place at 7:30 p.m. However the fun and festivities are from 4 – 9 p.m.
~ Live entertainment on three stages, with dancers, singers and more. ~ On the BIG SCREEN they will be showing “Dr. Seuss’ How The Grinch Stole Christmas” that premiered on television in 1966 . ~ 800 + children will be walking and participating in the Jr. Sunshine Christmas Parade at beginning at 4:30 p.m.
~ Santa Claus, Mrs. Claus and The Grinch- 5 – 8:30 p.m.
~ FOR THE KIDDIES- big slide, bounce house, indoor laser tag and challenge course. In 2006 when I first started in Real Estate, I sold mostly all new homes. I made it a point to visit EVERY new home builder and community in and around the Ocala area. I previewed approximately 100 builders and communities in our area. When the bubble busted, just about all of them went out of business or left the area like so many other areas in the nation. So it’s with great pleasure to see New Home Builders building once again in Ocala. 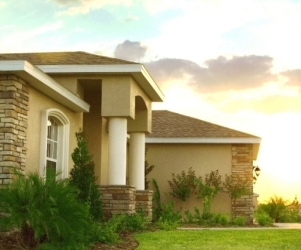 Click here to read more about Highland Homes. Highland Homes is coming soon to Ocala. They will have several models to chose from located in the Meadow Glenn subdivision. Offering stylish and affordable homes starting from the mid-$100,000’s. Here’s a sample of some of their other communities in Florida Click here. 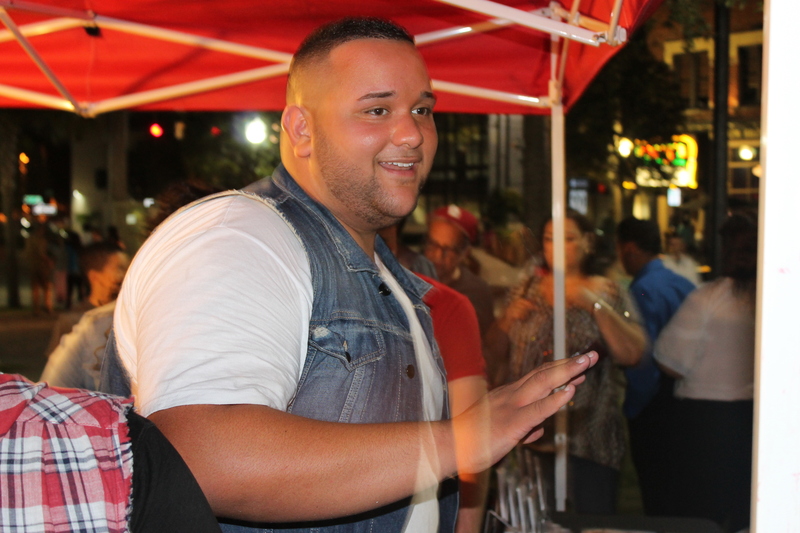 “American Idol” finalist Jeremy Rosado performed a free Christian Concert tonight on Ocala’s Downtown Square. Jeannie Ortega opened the concert with songs of Praise and Worship. 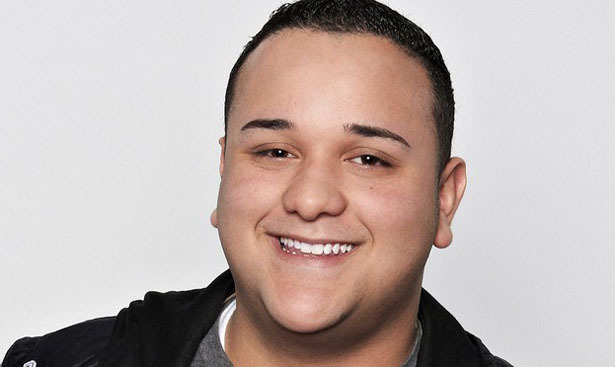 It was his lifelong dream to be a singer, yet nothing materialize for Jeremy Rosado. Friends and family even tried to discourage him to give up his dream. Then after his 5th attempt to be the next “American Idol” he made it as a contestant. “I had something inside of me, deep down I believed it was meant for me,” Rosado said. “I couldn’t agree with people telling me to give up. God gave me my dream and I will be forever grateful.” His voice was so amazing that he brought tears down the face of “Idol” judge Jennifer Lopez. She was a huge supporter of Jeremy. Jeremy continues to lift up His Maker as he sings. He is an inspiration to all who hears him…. THIS BOY CAN SING! Click here to watch a video clip on You Tube of Jeremy OR Click here for another video clip. With Top 40 success came opportunity, and Jeannie spent the summer of 2006 as the opening act for international pop star Rihanna on her nationwide tour. Immediately following that tour, Jeannie joined the “Lo Maximo de la Musica Tour” along side Latino notables. In tandem with her budding pop music career, the multi-talented Ortega also began a second career as an actress, appearing in the teen romantic drama “Step Up.” She also landed her first major acting role alongside Tristan Wilds (Beverly Hills 90210) in the indie film “Indelible,” scheduled for release next year. She made it to the top, but felt empty… Her soul felt the tug of Jesus and thus her soul searching began as she made her way back to her Christian roots. Now she gives God all the glory, and she is not ashamed in any type of setting to give God praise. To see more of what Jeannie Ortega is all about, Click here to check out her website. Ocala has so much to offer: Gorgeous scenery, continuous growth, and vibrant places to live, work, and play. Everything one could possibly want is right here, from beautiful horse ranches to fine restaurants and shopping. Click here to check out this video that was featured by Terry Bradshaw on, “Today In America” regarding our beautiful Ocala/ Marion County, FL As you view this video I think you will see why so many of us call Ocala and Marion County home! There are many beautiful homes and neighborhoods to choose from. Our city has something for you whether you’re looking for a “starter home” or want to upgrade to the home of your dreams! We are just about an hour north of everything the Orlando area has to offer: Disney World, Sea World, Epcot, Orlando International Airport, and a bustling downtown with exciting cultural attractions. Here in Ocala we’re close enough to enjoy it all without having to deal with the congestion of a large city.